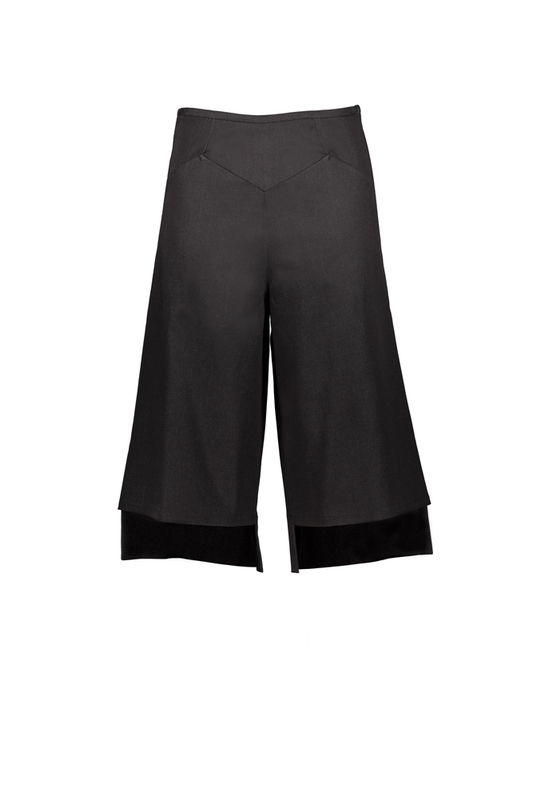 Denim culottes with asymmetric pantlegs. Very comfortable and relaxed, easy to combine with all kinds of tops and colours. Try them with both boots and flats. Fabric composition: 98% cotton/ 2% elastane denim.